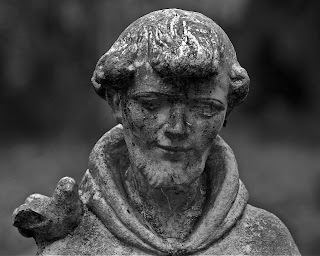 I think this image was made in Evergreen Cemetery in Jacksonville, Fl. You'd think someone who knows they have a lousy memory would write some things down. 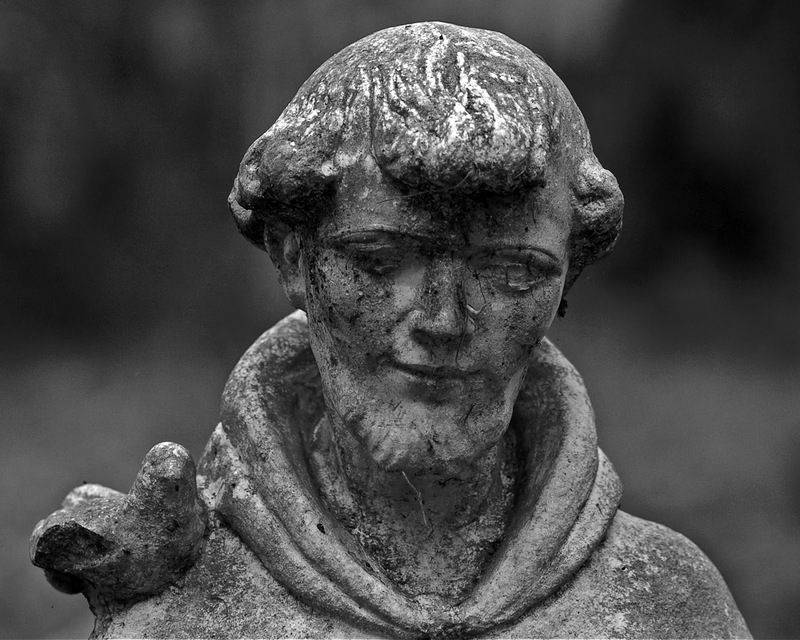 I also am assuming that this is St. Francis due to the bird on his should. Statuary in old cemeteries is like walking through a museum for me and I always enjoying walking through them.